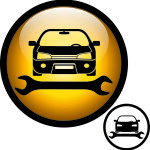 Complete Auto Repair Norristown PA Has been serving the Norristown PA area for over 20 years. We provide our customers with the best top notch service. Our Technicians are skilled in there trade. We provide Domestic and Foreign Car Repair. We are Fully Licensed And Insured. 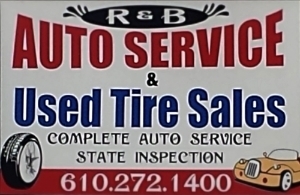 Complete Auto Repair Norristown PA Used Tire Sales. We have the biggest selection of used tires in all of Norristown PA. Let us fix your flat and balance Your Tires. Our prices are the best in Norristown PA. We have the latest state of the art Equipment. We can get you in and out of the shop in less than 30 minutes. R&B Auto Repair Brake Service. Are Your Brakes Squeaking? Does The Front of your car shake when you step on the brakes? These are signs of problems in your brake system. You could need new Brake pads. Or you may need to replace your Rotors.This is the cause of that shake when you step on those brakes. Come let our certified technicians keep you and your family safe on the road. Complete Auto Repair Norristown PA State Inspection and Emissions, Don’t get caught with Expired Inspection and Emissions. The fine is not worth it. We can provide you with the necessary Stickers on your window. We do a full check from lights to Fluids, Brakes, Tires and more. 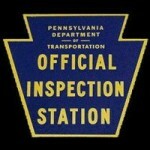 You must have a valid Licence and Registration from Pennsylvania Department Of Motor Vehicles. Complete Auto Repair Norristown PA Provides Auto Air Conditioning Services. Does The Air From Your Car Vents Come Out Warm? This could be a sign of a leak in your Air Conditioning System. We can recover your existing Refrigerant and repair your A.C. Lines. Or if need be replace your Evaporator. Once we are done with your air conditioning repairs we then put you R134 Refrigerant back in the system.